Tim Lobinger, the reigning European Indoor Pole Vault champion looks to be one of very few German medal chances for the IAAF World Indoor Championships in Birmingham (14-16 March). Although suffering from a cold, Lobinger dominated the competition at the German Indoor Championships in Leipzig’s new indoor arena (22/23 Feb). Germany’s only six lane indoor athletics track had been the venue for the first European Indoor Cup a week earlier, and once again the atmosphere proved that this is a great venue for athletics events. The “Arena Leipzig” was sold out with more than 4,000 spectators on Sunday, and the day before just a couple of seats remained empty. Enthusiasm is there, and it is good to know that Leipzig’s mayor, Wolfgang Tiefensee, supports athletics. He was present on Sunday. Vaulting an impressive 5.80m on his first attempt – which was his sixth jump of the competition – was enough for the 30-year-old Tim Lobinger to take the national Pole Vault title. He did not try any further heights. With a clearance of 5.75m Michael Stolle booked the second team ticket for Birmingham. 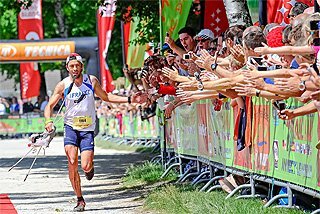 Suffering from a foot injury for months, Stolle was also surprised about his achievement. “That is a miracle to me. 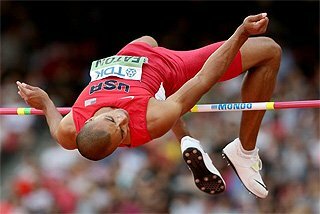 Normally I jump my first height in only my third attempt.” This time he took 5.40m at the first – as he also did later on when the height was 5.75m. “I did not put myself under pressure concerning the qualification for Birmingham – I just had fun jumping. So now I will definitely compete in the World Indoors”, confirmed Stolle after he missing 5.80m three times. The two Pole Vault events were the main highlights in Leipzig during the weekend. Annika Becker took three jumps to clear her second height of 4.45m but only two attempts at the winning height of 4.60m. She then tried to improve her own national indoor record of 4.67m by three centimetres but failed, though her third attempt at 4.70m was close. Yvonne Buschbaum, who took second place in Leipzig with 4.50m, snatched the second team berth for the World Indoors. In her first and only indoor appearance this season, Irina Mikitenko took two individual titles and was the only athlete to do so during the weekend. Mikitenko had a terrible setback after taking fifth place in Edmonton World 5000m final in 2001, suffering a knee injury which required surgery. “I could not run for nine months. And when I finally was able to run again, I had to begin like a beginner. 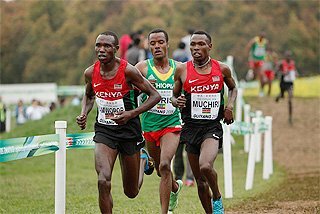 I could only run for ten minutes at first and then had to walk for some time,” Mikitenko explained. Now in Leipzig she was back running in smooth style, beating Sabrina Mockenhaupt in the 3000m on the first day. Her time of 8:52.78 was inside the German qualification standard for Birmingham. 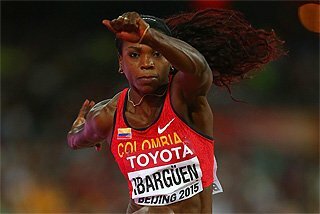 However, the World Indoors can never have been in her race diary, because of her injury break. 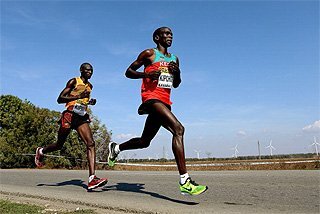 “I want to do well in the summer and run the 5000m in Paris. And I am optimistic that I will reach my best form again”, said the 30-year-old. 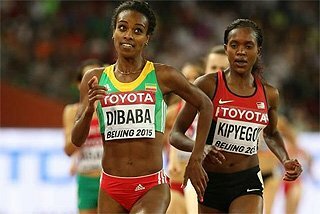 The next day she took her next title, and there was no one stopping her in the 1500m. 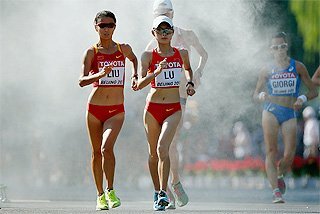 “It was a bit boring – but it was better than training alone at home”, she said, after running 4:17.66 minutes. She was running from the front almost from the beginning of the race and was never challenged. There was another upset for Nils Schumann in the men's 800m final. The Olympic champion was beaten for the second time this season by his national rival René Herms. It was Herms, not Schumann who had the better sprint in the end and won the title in 1:46.78. Schumann ran 1:46.90. 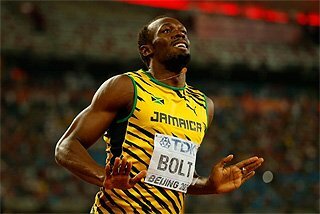 At present the Olympic champions lacks the speed that made him famous. “I could not respond in the end. But this second place will especially motivate me for my next few training sessions”, Schumann said, after congratulating Herms on his brave race. Herms had taken the initiative right from the start and led Schumann for 600 metres. Then Schumann slipped past on the inside, but Herms got in a good position behind Schumann and had enough strength left to beat him in the last 50 metres. Nils Schumann decided after the race not to compete in Birmingham, and sadly the man who beat the Olympic champion will also not be able to run at the World Indoors. “I have to do my A-levels, so I can’t go to Birmingham”, René Herms said. He also explained that Nils Schumann is still his model as a runner because of his Olympic triumph at the age of just 22. After a two year suspension Falk Balzer returned to competition on Saturday, finishing fifth in the 60m Hurdles final (7.91), a race that was won by Mike Fenner with 7.69. However, Balzer was happy to be back and did not mind about the time and his placing. 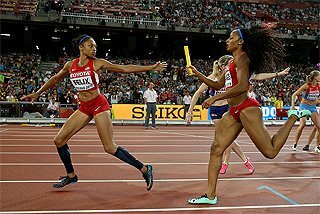 Having run 7.77 in the second round, there was a second false start in the final which initially appeared to have been Balzer’s fault. In fact he already had taken off his shirt, when it was revealed that he was still in competition, as instead Thomas Blaschek was disqualified. “I have to get used to this new rule. But the problem was, that my concentration was gone. But never mind, I will improve soon”, Falk Balzer said. (Shot Put), Stefan Drews (Heptathlon). Kesselschlaeger and Katja Keller (Pentathlon). 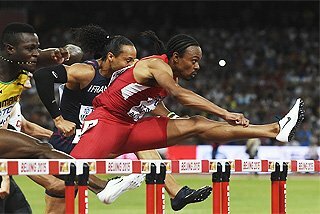 60m hurdles: 1. Mike Fenner 7.69, 2. Jerome Crews 7.77, 3. Claude Edorh 7.84, 4. Jan Schindzielorz 7.84, 5. Falk Balzer 7.91 (2nd rd: 7.77). Long Jump: 1. 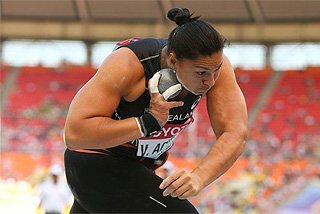 Bianca Kappler 6.61, 2. 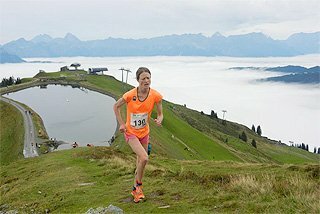 Katja Keller 6.52, 3. Sofia Schulte 6.49. High Jump: 1. Elena Herzenberg 1.94, 2. Daniela Rath 1.92, 3. Kathryn Holinski 1.92, 4. Sophia Sagonas 1.92. 3000m Walk: 1. Melanie Seeger 11:59.96, 2. Sabine Zimmer 12:17.97.